Governor Andrew M. Cuomo today signed legislation that will eliminate 36 urban renewal and industrial development agencies that are inactive or no longer needed. Long Island, NY - October 20, 2014 - Governor Andrew M. Cuomo today signed legislation that will eliminate 36 urban renewal and industrial development agencies that are inactive or no longer needed. The groups are either defunct, were never ultimately established by local law, or are no longer needed to carry out the public function for which they were formed. "My administration has made it a top priority to increase efficiency in government and reduce the burdens faced by localities," Governor Cuomo said. "Eliminating these ghost authorities, which do not serve their intended purpose, is a necessary step to making government better serve the people. I thank the bill sponsors for their work on this legislation." The affected agencies and authorities have no outstanding debt or other obligations, and the law also transfers the eliminated entities' remaining books, records, and rights to the municipality where each is located. Senator Jack M. Martins, the Senate bill sponsor and Chairman of the Senate's Local Government Committee, said, "Eliminating unnecessary layers of government that are inactive, dormant, and serve no purpose will make government more efficient and accountable. This new law will streamline government by dissolving dozens of inactive public authorities across the state. I thank Governor Cuomo for partnering with us in pursuit of our joint commitment to efficient government." 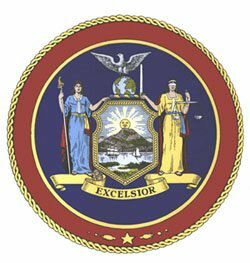 Subject: LongIsland.com - Your Name sent you Article details of "Governor Cuomo Signs Legislation to Eliminate 36 Inactive Local Authorities"